Stars! I'm seeing them everywhere and i'm definitely not upset about it. There's nothing new about stars being embellished on clothing but as we know every once in a while a classic pattern re-emerges. During the summer I noticed striped bottoms were taking over but I didn't notice the other pattern that was taking over. Being the astronomy nerd that I am (yes, i'm aware actual star don't have five points haha), this trends makes be happy because at times it's accompanied by a lunar pattern or a few constellations. 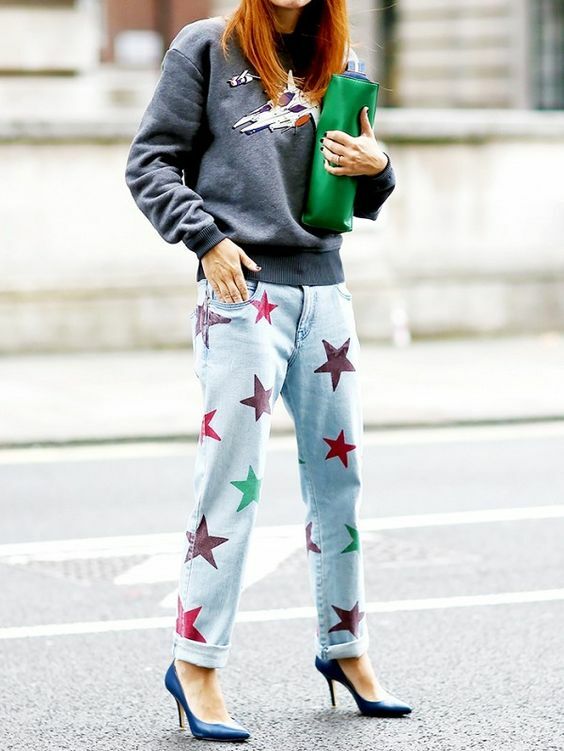 Stars are basically updated polka dots with a bit more pizazz and they can be seen on everything from loafers to bomber jackets. Scroll down for my favorite looks brightened with these five pointed adornments.